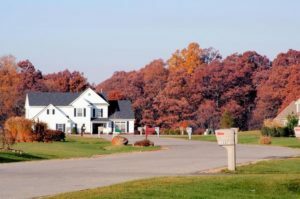 Island Hills Estates is a Dexter neighborhood that offers sizable homes on 1+ acre lots, the secluded neighborhood features conservation areas, paved sidewalks and more. There is currently 1 home listed for sale and so far this year, 1 has sold. $450,000. 2730 Island Hills Dr., Dexter. 3003 square feet with 4 bedrooms and 3.1 baths. Last year at Island Hills Estates, 3 homes sold with an average sale price of $361,333 and an average price per square foot of $160.00. The 1 home sold this year has a sale price of $450,000, up 25%, and the price per square foot is $150, down 6%. The home sold this year has 425 square feet less than the average of the 3 homes sold last year. To learn more about home values at Island Hills Estates, contact the real estate specialists with The Bouma Group at (734)761-3040 or email info@bouma.com. View more Dexter neighborhoods here! 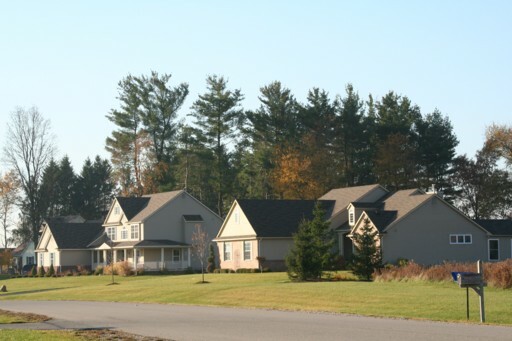 Located right outside of downtown Dexter, Island Hills Estates is a desirable neighborhood of upscale homes. There is currently 1 home listed for sale and so far this year, 2 have sold. $395,000. 3003 Sandhill Drive, Dexter. 2870 square feet with 4 bedrooms and 3.1 baths. $375,000. 3060 Sandhill Drive, Dexter. 2340 square feet with 4 bedrooms and 2.1 baths. Last year at Island Hills Estates, 2 homes sold with an average sale price of $337,500 and average price per square foot of $136.00. The 2 homes sold this year have an ASP of $385,000, up 14%, and an A$SF of $149.00, up 9.5%. For more information on Dexter home values, call the real estate specialists with The Bouma Group at 734-761-3060 or email info@bouma.com today! Island Hills Estates is a Dexter Subdivision of upscale homes in a beautiful country setting. Downtown Dexter, schools, shopping, and conveniences are just minutes away. There are currently no homes listed for sale at Island Hills Estates, 1 homes has sold and 1 has rented so far this year. $372,500. 3324 square feet +1087 in the finished lower level, 4 bedrooms and 4 baths. $1900/month. 1970 square feet with 4 bedrooms and 2.1 baths. Last year at Island Hills Estate, 4 homes sold (1 by The Bouma Group) with an average sale price of $299,750 and average price per square foot of $128.65. To find out more about Island Hills Estates, or the nearby Dexter Subdivisions: Stoneyfield Meadows, Etta’s Valley, or Castleton Farms, contact the Dexter Real Estate Experts at The Bouma Group at 734-761-3060 or info@bouma.com today!